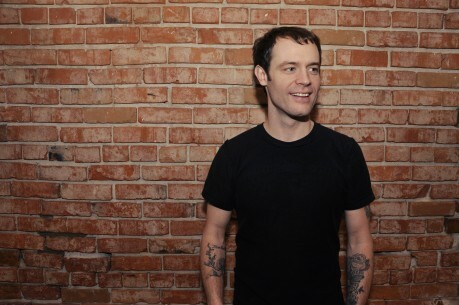 Undertow is pleased to announce the addition of Barsuk recording artist, Rocky Votolato, to our management roster. In his decade-plus life as a songwriter and musician he has sought to articulate something essential about life, writing songs that seem to have been scratched into a boxcar wall by a worn-out and lonesome ghost. His gravelly, sandpaper smooth voice and introspective lyrics mark him as that most rare of punk-rocker-turned-acoustic-troubadours: Votolato writes graceful, understated, human, unpretentious songs, demonstrating that simplicity is still a viable option for accomplished songwriters. Reserve your copy of his latest album, True Devotion, between now and February 23rd and you’ll be entered for a chance to win a private house show for you and 20 of your closest friends! Also, three runners-up will win a signed copy of the record and free concert tickets. Everyone who pre-orders the CD will get to hear it NOW, via immediate access to a full-album digital stream, and will receive with their order a bonus 7″ single (while supplies last). Be sure to check the latest tour dates so you can see Rocky Votolato in your city.